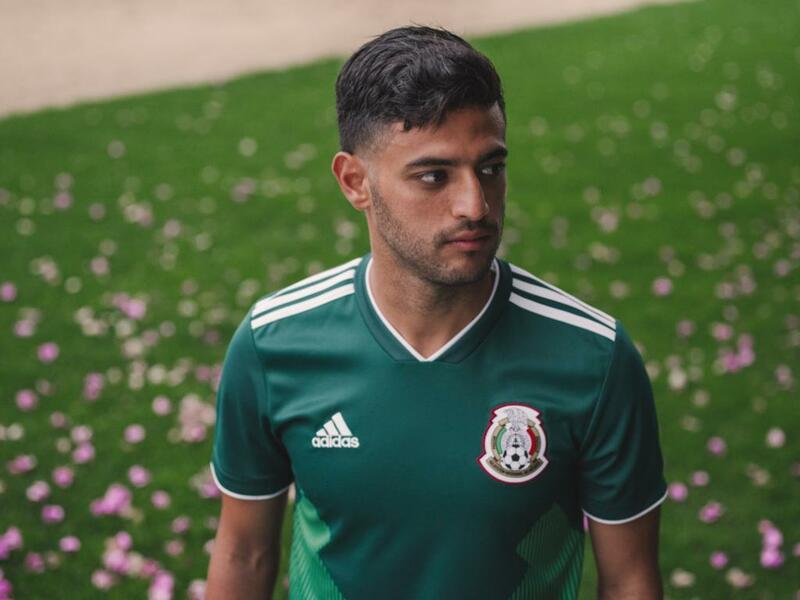 Adidas and the Mexican Football Federation unveiled the new national team home kit which the team will wear during their preparation games and the 2018 FIFA World Cup in Russia. The new home shirt is inspired by an iconic adidas Football design of the 90s. 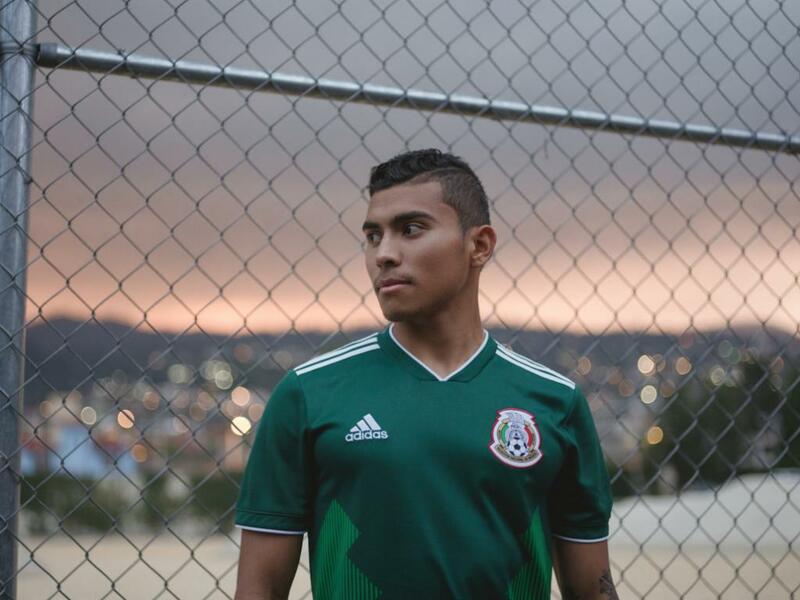 In a perfect balance between retro and innovation, the jersey features a double shade of green, with white adidas stripes on the shoulders and a “V” neck. The uniform is complemented by white shorts and socks in a dark red colour. The New Jersey finds a perfect balance between retro and innovation. Two different colors of green create a distinctive stylized image. 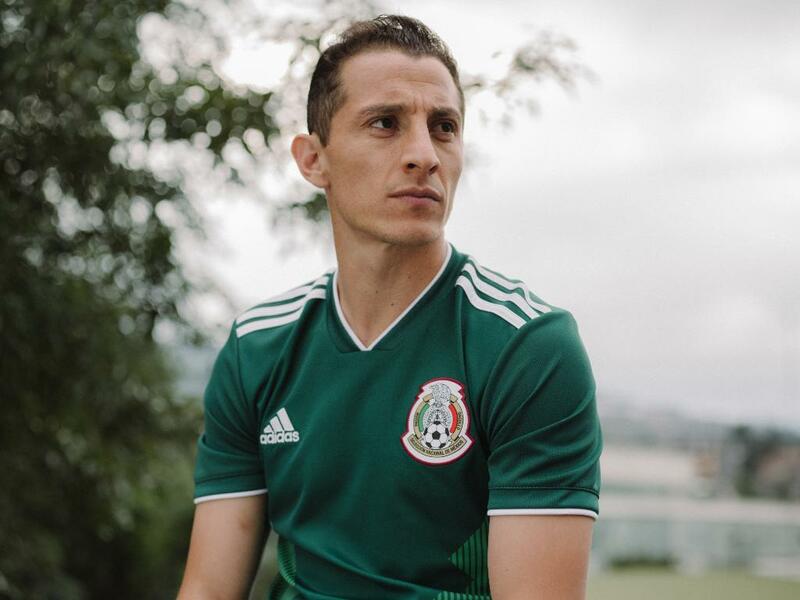 In detail, the classical rib shows the white edge of the inner eye, the shoulder is decorated with a white Adidas three stripe, and the collar has a loud slogan – “Soy M e xico”. The New Jersey matches the white shorts and dark red socks, and the front of the stockings is marked with the word “FMF”. 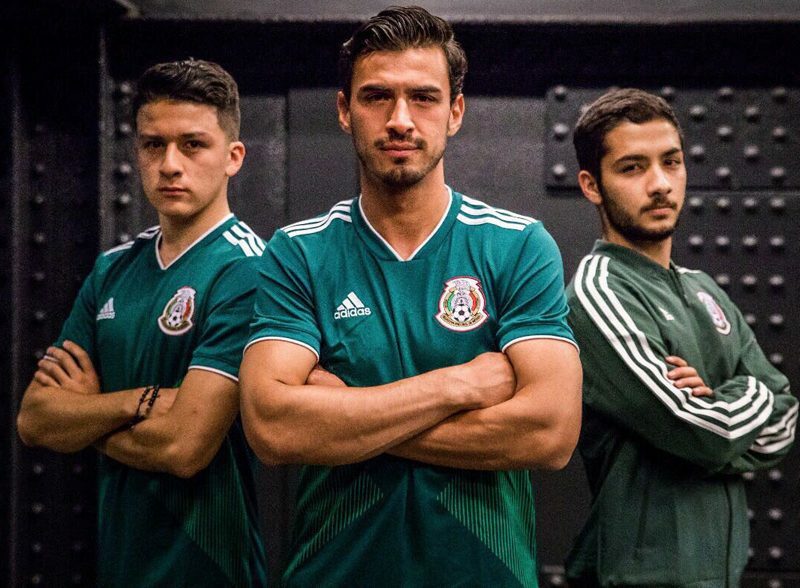 When the Mexico national team set foot on the opposition’s turf, they have the strength of a nation at their backs. 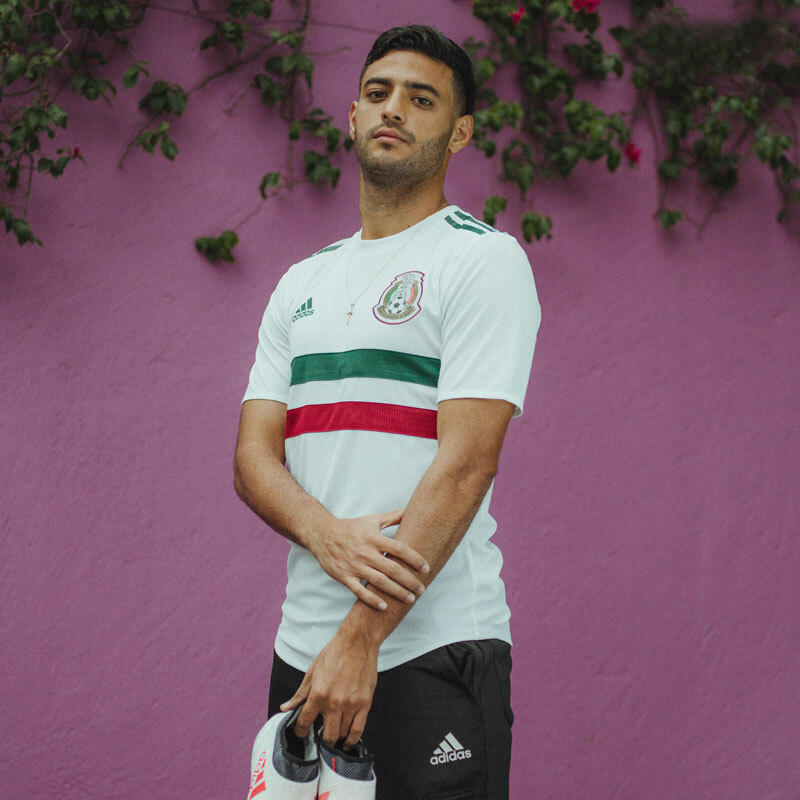 This Mexico 2018 World Cup Adidas away shirt incorporates the colours of the Mexican flag in shades that recall their kits of the ’70s.